THE STORY - Filmmakers follow nine high school students from around the globe as they compete at an international science fair. Facing off against 1,700 of the smartest teens from 78 countries, only one will be named Best in Fair. THE GOOD - An amazing cast of colorful characters and an engaging plot. For almost as long as mainstream cinema has existed, we have been bombarded with the "high school science nerd character." He or she is bookish, socially inept, and unengaging. Certainly not the most riveting type of subject for a documentary, right? Journalists Cristina Costantini (“The Naked Truth”) and Darren Foster (“Borderland”) hunted down an insanely cinematic set of real-life characters to follow around as they prepare for and compete in the International Science and Engineering Fair, which as it turns out, is “the Olympics of Science Fairs.” Thousands of contestants, thousands of dollars of prize money on the line and the possibility to rewrite your future if you win. As such, instead of being an awkward over the shoulder glimpse at someone buried in books, the film is a hilarious, edge of your seat glimpse into a cutthroat world. It serves as both an entertaining thrill ride and an urgent rallying cry for us as a society to remember that science is both amazingly cool and also incredibly important to our futures. 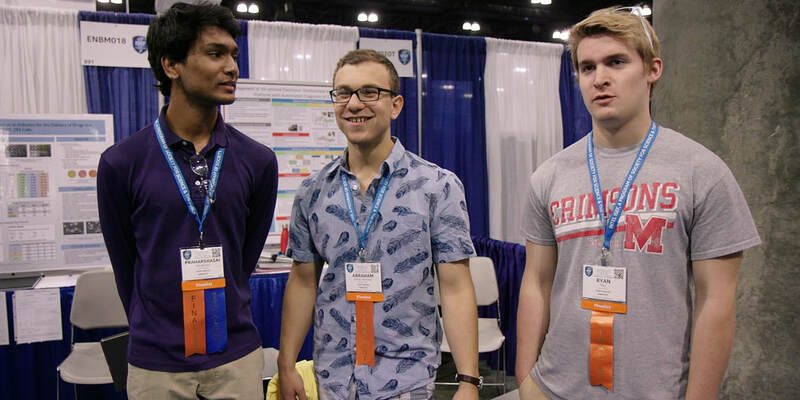 As the International Science and Engineering Fair fair pools contestants from all around the globe, Costantini and Foster pull a huge variety of characters: from the overachieving future CEO who skipped grades to compete alongside people two years her senior, to the three “dude bros” from Kentucky who wear bro tanks and nurse hangovers in between experiments, to a academically underachieving hippie, to the Muslim girl at a football-crazed school in South Dakota with no science lab, to two impoverished Brazilians out to rewrite their futures. Each character has their own distinct voice and identity and you’ll find yourself rooting for each of them. Only one person out of thousands can win (and yes, the winner is among the film’s chosen subjects), and yet they’re all so likable and engaging. The best documentaries not only feature engaging characters and amusing scenarios but also have something to say, something to teach you. And although “Science Fair” is more than content to let you engage with its characters, and to have a good time for pure entertainment’s sake, it also wants you to understand the stakes. The world building here is marvelous. This is a real, huge competition. Many people around the world center their lives around it. Its results have real consequences (as shown by a montage of interviews with former winners, who have gone on to exec positions in prestigious universities and organizations like NASA.) It also hopes to remind us that something has gone awry in American culture. Although the competition is based in the US, America has put science in the backseat. Countries like Germany encourage their youth to innovate and experiment, while the US ranges from apathetic to actively discouraging. The film weaves in additional social critiques. One female contestant laments that it is much easier to get away with being a brilliant overachiever but also well-liked as a male, than as a female. And then, of course, there is the science itself. We don’t go as deep into how most of the experiments work. Each contestant offers glimpses of what they’re doing (a water arsenic detection system, a groundbreaking treatment for ZIKA, an innovative jet engine, a risky behavior brain wave monitor, an AI system that can write Kanye West lyrics and create Shakespearean insults on the fly, etc) but the film is uninterested in going into great detail. Instead, it hopes to show enough that the audience says “wow…that’s really cool. More people should be doing that,” and instead focus on the colorful personalities at the film’s center. And in many ways, that is why the film is such a success. It is a relentlessly engaging crowd pleaser. The editing is smooth (although one montage does seem out of place in the third act, and that derails the pacing just a bit) and a bouncy electronic score courtesy of Jeff Morrow (“Trolls”) punctuates the proceedings perfectly. There are a few technical flaws, particularly in the film’s audio (certain scenes are either blown out or have muddled sound) but those are minor quibbles. The overall product is relentlessly entertaining and features real people so compelling and unique that one would expect them to be fiction. In a year full of crowd-pleasing documentaries like “Won’t You Be My Neighbor” and “RBG,” “Science Fair” manages to be the year’s most feel-good and entertainment. It may not be particularly innovating in its storytelling, but instead, it does something even more important: it makes its viewers want to go out and innovate themselves.